MRS-802, Digital Multrack-studio from Zoom in the MRS series. Multitrack recorder numrique bote with rhythms and multi effects incorporated. Recorder: 10 physical tracks - 100 virtual tracks - one track Stereo Battery - 2 simultanment recordable tracks - 10 tracks simultanment reproducible (8 + 1 Battery Stereo) - 3 hours maximum recording - indication of location - track edition features (copy, dplacement, collage, delete, change, rduction, fade in / out, reverse, stretch / compress) - Punch in / out manually and Auto - report functions, dfile Scrub / pr-cost rptitions AB, capture / exchange, looping sentences. Mixer: 10 faders (1-8 mono, battery, Stereo Master) - level indicator, paramtres tracks (equalizer, effect send, pan) - Stereo coupling - depending scne. Effect: 8 types of algorithms - 280 insert effects - effects loops 40 - 6 modules insert effects - auto-chromatic tuner. Using this home studio is really simple trs, especially thanks to a clear notice trs. All distortions (25) are simply sublime: there are imitations of Fender amps light or sound or trsmtalleux funky!! In short, all sorts of effects are in the home studio ... There are several types of reverb, several types of delay, chorus that can of course change. As for the clean sound is .... sublime (I find no other word)! We DIFFERENT types of speakers and several kinds of microphones. It has effects for synthtiseur for voice, acoustic guitar, electric bass, and some thirty drum kit from live through techno to jazz! In short, a real Aladdin's cave of sound! I have been using ending for a year and it's really an indispensable tool. and no doubt I would do in this election because I think the report is excellent !!!!! 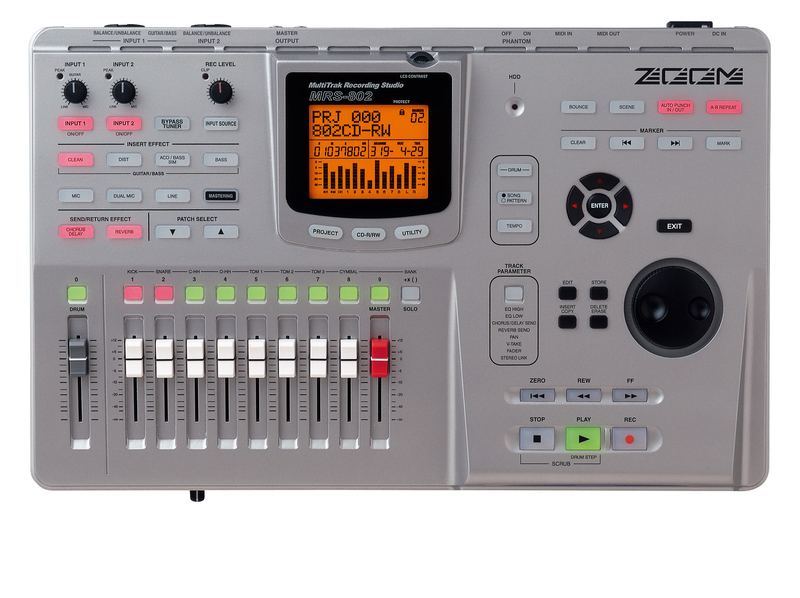 qualitprix If you are looking for a home-studio trs good quality with a lot of pace and a box full trs then take you quickly on this Zoom MRS-802!